For additional assistance please contact VWPartsForLess.com via email at parts@vwpartsforless.com or by calling 800-568-5550. The plastic tray with Golf lettering has a tailored fit to the luggage compartment-is washable- features anti-slip backing- and tall surrounding rim helps prevent liquids from flowing out into the vehicles luggage compartment floor. Buy from the best! VW Parts For Less is your one stop shopping experience for every certified Volkswagen part and accessory available. All of our pricing is based on a wholesaler discount of up to 15% off of MSRP that you will not find at any other dealer across the country. When you purchase your parts from VW Parts For Less you are receiving unique discounts normally available only to certified repair facilities. We are the first and only website to offer these discounts on Volkswagen products to the general public and preferred wholesalers alike. Fast shipping and easy returns. Order today! 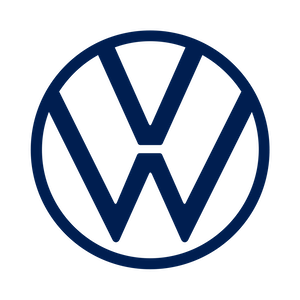 Original Volkswagen OEM Parts and Accessories.